Rosh Hashanah or Jewish New Year is observered on the first and second days of Tishrei, the seventh month of the Jewish year (coinciding with September or early October). Customs include sounding the shofar, eating symbolic foods, and wishing one another a “good year.” It is the beginning of ten days of reflection and prayer, allowing time to repent for the sins of the past year and to promise to do better in the coming year. The High Holy Days conclude with Yom Kippur, sometimes referred to as the day of atonement. Web links to additional information and activities Rosh Hashanah and Yom Kippur about follow these reviews. Inspired by true events that affected debut novelist Vernick’s relatives, this historical drama tackles the weighty issue of anti-Semitism with uncompromising clarity. It’s 1928, on the eve of Yom Kippur, and 16-year-old Jack Pool is unexpectedly thrust into the spotlight when a young girl vanishes. Unscrupulous smugglers in need of a distraction blame Jack and the rest of the Jewish community in their small upstate New York town, prompting illegal searches and persecution. As the hateful lies and rumors spread, the innocent Jack and his family struggle to stay safe, even as their neighbors turn against them. Marked by ugly words and uglier actions, this isn’t an easy story; despite the novel being grounded in a particular time and place, the authentic depictions of a community driven to false accusations based on paranoid assumptions and prejudice has contemporary relevance. Yet Vernick maintains a thread of cautious optimism, by way of characters who acknowledge the insidious reality of anti-Semitism, while refusing to have their personal relationships tainted by it. 2011, Cinco Puntos Press, Ages 10-up, $15.95. All aboard for delicious historical fiction perfectly grounded in the emotions of its targeted readers. Author Cohen uses the 1892 inauguration of Israel’s first steam train to focus on friendship, hurt feelings, teshuvah, the symbols of Rosh Hashanah and the flora and fauna of central Israel. Whew! Heavy duty values delivered with a light touch of words and adorable illustrations. Ari is the engineer chosen to drive the first train from Jaffa to Jerusalem. He is so proud and excited he lords it over his fellow engineers–note, one is a woman–and forgets to say goodbye as he steams away. His route takes him through several Israeli landscapes, described verbally and drawn in earth tones. At each station he receives a delivery local to the neighborhood and necessary to celebrate the New Year: apples, honey, round challah and shofars. But rather than enjoying himself, Ari worries the whole trip about hurting his friends by his inadvertent self-absorption. He wishes he had said goodbye; he knows he can change and ask their forgiveness as this is the season for it. Despite cheering crowds in Jerusalem, he delivers his goods and hurries back to Jaffa to make up with his friends. The story captures place, history, and ethics in an appealingly winsome way. The protagonist worries about his problem just the way youngsters do, creating and sustaining empathy. A warm and fact-packed historical note ends this charming and highly recommended picture book. 2008, Kar-Ben, Ages 5 to 8, $17.95. REVIEWER: Ellen G. Cole (Association of Jewish Libraries Newsletter). 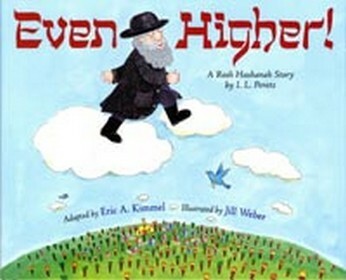 Humorous art and peppy dialog take a Rosh Hashanah classic from sanctimony to delight. Award-winning author Eric Kimmel adapts the I.L. Peretz tale and instantly communicates ideas, culture, characters, and morals to picture book readers without losing the lesson or the sense of great fun. Where does the revered rabbi of the Nemirov shtetl go? Everyone argues for a different answer: the townsfolk know their rabbi goes to heaven to save them; the Litvak (wonderfully defined) does not believe the townsfolk; the revered rabbi himself relishes acting the peasant; and the old lady revives to dance. The plot follows the Litvak as he investigates and discovers that compassion and kind deeds, not miracles, save the world. Green teams will kvell when the rabbi chops firewood from trees already felled by wind. Kimmel’s text is as direct and smart as Barbara Cohen’s 1987 version, but the art here creates a much more lighthearted story. Both Cohen and Kimmel are closer to Peretz than Richard Ungar’s 2007 version where Ungar swaps the Litvak for a dull little boy whose point of view makes for a plodding tale. The layout of this new volume is fresh and compelling. The text appears in different frames and at different angles. The age-appropriate art is mobile, colorful and hilarious while delivering time and place. Everyone’s emotions are on the page; they glue the reader to the argument and the mystery. This is a delicious holiday volume and a timeless tale of values. Highly recommended for picture book readers. 2009, Holiday House, Ages 6 to 9, $16.95. Get Cooking!” is described as ‘a full year of celebration of Jewish American food and culture,’ organized by holiday. There are special recipes and menus for Shabbat, Rosh Hashanah, Yom Kippur, Sukkot, Thanksgiving, Chanukah, New Year’s Eve, Tu Bishevat (Jewish Earth Day), Football Sundays, Purim, April Fool’s Day, Passover, Yom Ha’atzma’ut, family celebrations, Shavuot, and the Fourth of July. In addition to fine recipes for fantastic food and luscious photographs, “Get Cooking!” includes a CD by co-author Doni Zasloff Thomas (aka Mama Doni), an award winning performer/songwriter who celebrates Jewish culture with music for all ages. Of course, the CD includes songs about food, like “Latke Man,” and “Challah Day,” of “Falafafull.” All recipes are kid-friendly and suitable for a kosher home and kitchen. Recipes are labeled “meat.” “dairy,” or “pareve” according to kosher standards. There are also some vegan recipes, which would be considered pareve. Specialty recipes include Pomegranate Barbecue Chicken for Rosh Hashanah, Sunny Citrus Mint Salad for Yom Kippur, Super Stuffed Peppers for sukkah, Mini Sweet Potato Knishes for Thanksgiving, and many more delicious examples. Instructions are clear and step by step, and special ingredients have extra hints about sources and uses. “Get Cooking!” is chock full of color photos of teenagers, riddles and jokes, party suggestions, and game and songfest ideas. “Get Cooking!” is a great resource for Jewish American families with kids who want to cook. 2012, Behrman House, Ages 13+, $19.95. development this is far from Davies’ most compelling work. 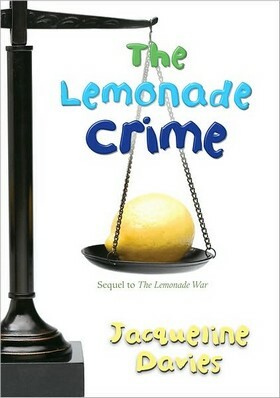 2011, Houghton Mifflin Harcourt, Ages 10 to 14, $15.99. 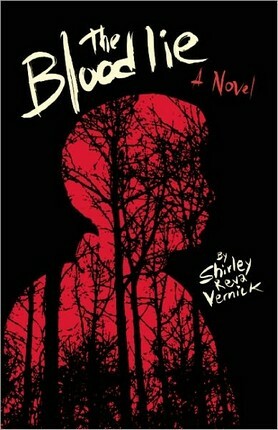 REVIEWER: Sharon Oliver (Children’s Literature). Sam has a new neighbor named Charlie. At first, Sam is surprised to discover that Charlie is a girl. Charlie has a sister named Sam, who they refer to as Sam Too. 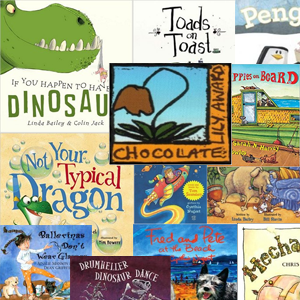 The storylines of friendship and play are perfect for emerging readers. Large type will appeal to young readers ready for independence. The kids celebrate Jewish holidays in simple ways–eating hamentashen and apologizing for hurting one another’s feelings on Yom Kippur. The inclusion of Jewish content is refreshing and the Jewish elements are nicely woven into the story. 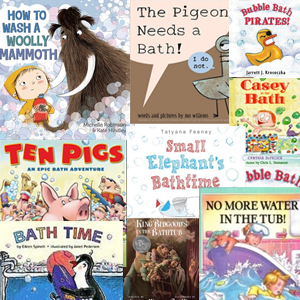 There are few Jewish books in the genre, and this is a good selection for beginning readers. Numerous bold illustrations add charm to the story, support the context nicely, and will engage readers. The Sam Too character might be a little confusing for some, but overall, Sam and Charlie (and Sam too!) is a nice little easy reader. Recommended for Jewish libraries. 2013, Albert Whitman, Ages 6 to 9, 13.99. REVIEWER: Barbara Bietz (Association of Jewish Libraries Reviews). Sammy Spider, a popular character for over twenty years, is here to explain to the youngest of children about Jewish holidays. Beginning with New Years, one brief sentence on each page captures the message of the holiday. Sometimes a description of why there is a celebration: “Yom Ha’Atzma’ut is Israel’s birthday,” and sometimes an account of how it is celebrated: “On Yom Kippur we say we’re sorry.” Sammy Spider appears on most pages, though is not as integral a part of the story as in his many picture books. The paper collage illustrations give this board book an appropriately traditional feel. Holidays featured are: New Year, Yom Kippur, Sukkot, Simchat Torah, Hanukkah, Tu B’Shevat, Purim, Passover, Yom Ha’Atzma’ut, and Shavuot. Use this title to introduce children to the large “Sammy Spider” series and to become familiar was the names of many Jewish holidays. The minimal text will be appropriate for young listeners and will fit in preschool classrooms as well as home libraries. 2013, Kar-Ben, Ages 2 to 4, $5.95. REVIEWER: Emily Griffin (Children’s Literature). Sammy Spider’s sleep is disrupted when Josh comes home from school loudly blowing a horn he had made. Sammy’s spider mom explains that Josh is blowing a shofar. She goes on to explain that the rabbi will sound the shofar at Rosh Hashanah services and at the end of Yom Kippur. Sammy wants to know all about Yom Kippur. Sammy thinks this all sounds fun and wants to join in. But Sammy’s mom tells him “silly little Sammy. Spiders do not blow shofars. Spiders spin webs.” Sammy listens in to Josh and his mom talking about Yom Kippur. Josh must write a list of the people he wants to say sorry to. The lesson becomes all the more relevant when Josh accidentally knocks over a shelf of while playing inside the house with his ball. Also a victim of the accident is the spider web. Tearfully, Josh apologies to his parents and to the spiders. Everyone accepts his apology. Another solid addition to the large “Sammy Spider” series. 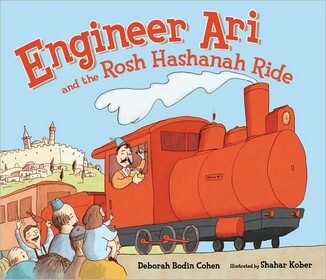 A read aloud for young children celebrating Yom Kippur. 2013, Kar-Ben Publishing/Lerner, Ages 3 to 6, $7.95. The meaning and traditions of Rosh Hashanah are woven into a story about a twin sister and brother whose family are Conservative Jews. A contemporary style and point of view that connect present-day pluralistic Judaism to the unbroken chain of Jewish beliefs and customs are at the story’s heart. The main characters of Ellie (YaYa) and Joel (YoYo) are portrayed as typical fifth graders whose interactions with each another, their parents and older brother, and their school friends are genuine, laced with humor and warmth. The somewhat repetitive plot concerns Ellie’s excitement over being invited to go with a friend to a sensational new waterslide park, and her disappointment to learn that the date for this excursion falls on the second day of Rosh Hashanah. Why does she have to observe both days? Ellie wonders. Isn’t one day of reflection and repentance enough? Guided and goaded by her brother’s greater attentiveness to what Rabbi Green has been teaching them about teshuvah in Hebrew school, Ellie begins to answer those question for herself. Her response leads to an affirmation of Jewish beliefs, traditions, and values. 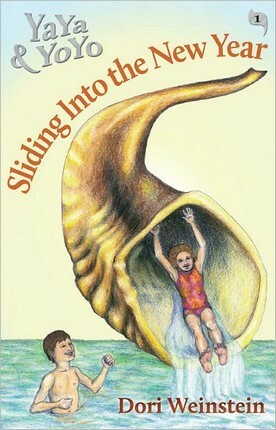 A publisher’s note states that this is the first of a planned series of twelve books about YaYa and YoYo, each one focusing on a holiday, life cycle event, or other Jewish experience. Although the writing needs some tightening to quicken the pace, this first entry into the series is a good beginning. 2011, Yaldah, Ages 9 to 12, $8.95. REVIEWER: Linda R. Silver (Association of Jewish Libraries Reviews). Young Talia’s grandmother asks her to go to the garden and bring back seven root vegetables for a stew to welcome Rosh Hashanah, the Jewish New Year. 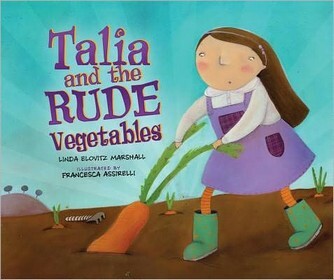 Hearing “rude vegetables,” Talia wonders what they are. She digs up each requested vegetable but when it seems “perfect,” she puts it aside in a basket. When it doesn’t–like the ornery onion that will not pull up–she decides it is “rude” and puts it in the pot for the stew. This is also the fate of the show-off garlic, the twisted carrot, the terrible turnip, the lumpy potatoes, the ugly parsnip, and the “rude-abagas.” Talia takes the basket with the good vegetables she found to the rabbi, who will give them to a family for a sweet New Year. Her grandmother laughs at Talia’s mistake as they prepare for the New Year holiday together, but is glad that she has helped the hungry. Assirelli visualizes the simple text in simplified, solid forms. Talia is shown on the cover in a solid brown garden, pulling at the tops of a huge carrot. There is a stillness to the clear blue sky and unadorned house with a row of flowers in front. Talia’s sketchy face hardly changes expression as she is frequently dwarfed by the vegetables. Readers should enjoy the sly humor and may be tempted to try the included recipe for “Rude Vegetable Stew.” 2011, Kar-Ben, Ages 5 to 9, $16.95. REVIEWERS: Ken Marantz and Sylvia Marantz (Children’s Literature). The Rosh Hashanah custom of tashlich involves the casting away of sins to start the New Year with a clean slate. Anna, Lincoln, and their parents have made an annual ceremony of tashlich by celebrating their accomplishments, committing to good works in the coming year, and discarding the transgressions that they have made against other people in the previous year. With an eye toward leaving a smaller ecological footprint, Anna’s family does not write and burn their sins as many people do, but “deposit” them on natural items like acorn caps and stones, or bread crumbs that will be consumed by fish. The family’s practice is lovely as is their exurban neighborhood, full of running streams and brightly colored leaves. It would be easy for readers to use this book as a blueprint for their own tashlich ceremony as the author even suggests urban alternatives to running streams (such as fountains and, oddly, toilets). If this book has a flaw, it is that the narrative starts without a real introduction of the theme. There is no set-up. The book starts in mid-conversation between Anna and Lincoln. The second page is the actual beginning of the book. 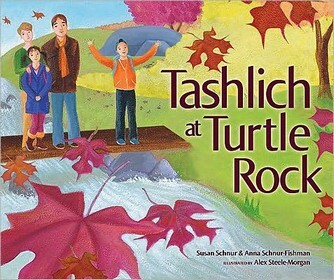 Despite this minor problem, there will be a place for this book in libraries looking to expand their holiday collections and in religious school classrooms where the book can be incorporated into the practice of tashlich, itself. 2010, Kar-Ben Publishing, Ages 4 to 8, $7.95. REVIEWER: Lois Rubin Gross (Children’s Literature). Ofanansky and Alpern offer a fresh take on Rosh Hashanah with this picture book tour of a bee farm. Readers follow a children’s class as students are shown how bees make honey. 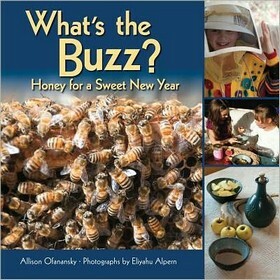 Color photographs and a running narrative combine to produce an easy-to-grasp book that is about science but also about culture; honey plays a part in celebrations of Rosh Hashanah, when apples or challah are dipped in the viscous liquid and eaten, symbolizing the wish for a sweet new year. Children who dislike insects may be put off by the pictures of swarms of bees, one of which is the main element on the cover. But young scientists and naturalists will appreciate the detail, and parents and educators will welcome a new way to talk about a familiar holiday. 2011, Kar-Ben, Ages 3–8, $15.95.